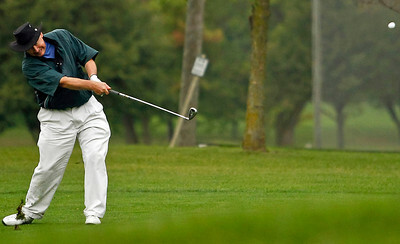 Brett Moist / For the Northwest Herald Ron Jania tees off during the final day of the McHenry County Senior Amateur tournament at the Pinecrest Golf and Country Club in Huntley on Thursday. Jeff would finish in 2nd place in the Super Senior Division with a score of 156. Brett Moist / For the Northwest Herald Eric Mayer hits onto the green during the final day of the McHenry County Senior Amateur tournament at the Pinecrest Golf and Country Club in Huntley on Thursday. Eric would finish in 3rd place with a score of 158. Brett Moist / For the Northwest Herald Harlan Tiesman tees off during the final day of the McHenry County Senior Amateur tournament at the Pinecrest Golf and Country Club in Huntley on Thursday. 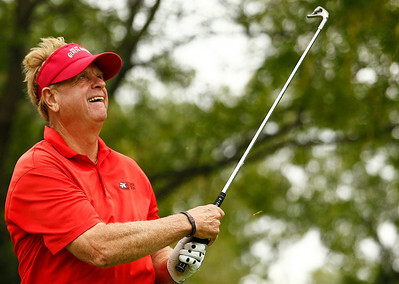 Harlen would finish 4th in the Super Senior division with a score of 158. Brett Moist / For the Northwest Herald Tom Miller tees off during the final day of the McHenry County Senior Amateur tournament at the Pinecrest Golf and Country Club in Huntley on Thursday. Tim would win the Super Senior division with a score of 155. 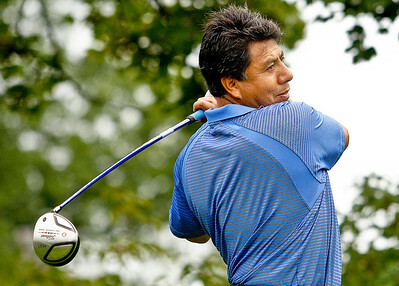 Brett Moist / For the Northwest Herald Tony Miranda tees off during the final day of the McHenry County Senior Amateur tournament at the Pinecrest Golf and Country Club in Huntley on Thursday. Miranda finished 2nd in the Tournament shooting 160. Bret Moist / For the Northwest Herald David Missimer putts his ball during the final day of the McHenry County Senior Amateur tournament at the Pinecrest Golf and Country Club in Huntley on Thursday. David would finish the tournament in 3rd place with a score of 160. 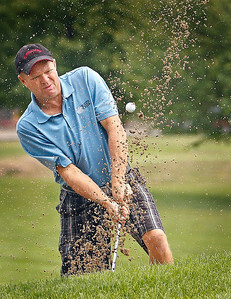 Brett Moist / For the Northwest Herald Gene Beck hits out of the sand trap during the final day of the McHenry County Senior Amateur tournament at the Pinecrest Golf and Country Club in Huntley on Thursday. Gene won the Senior 1st flight division with a score of 156. 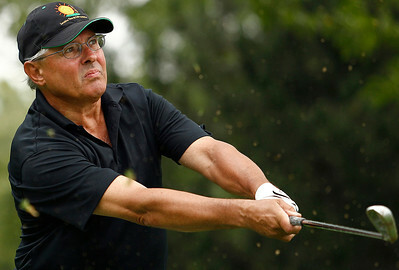 David Missimer putts his ball during the final day of the McHenry County Senior Amateur tournament at the Pinecrest Golf and Country Club in Huntley on Thursday. David would finish the tournament in 3rd place with a score of 160.